user warning: Expression #1 of ORDER BY clause is not in SELECT list, references column 'hotkilns_live.n.created' which is not in SELECT list; this is incompatible with DISTINCT query: SELECT DISTINCT n.nid, n.vid, n.title FROM content_field_videos_features nr INNER JOIN node n ON n.vid = nr.vid AND n.status = 1 INNER JOIN node_access na ON na.nid = n.nid WHERE (na.grant_view >= 1 AND ((na.gid = 0 AND na.realm = 'all') OR (na.gid = 0 AND na.realm = 'content_access_author') OR (na.gid = 1 AND na.realm = 'content_access_rid'))) AND ( nr.field_videos_features_nid = 245 )ORDER BY n.created DESC in /home/hotkilns/public_html/sites/all/modules/nodereferrer/nodereferrer.module on line 428. The lid can be opened with one hand by almost anyone - even the largest lid on the T3400 Series. Because the lid closes gently there is less wear and tear on the lid and lip and less chance of breaking the lid. 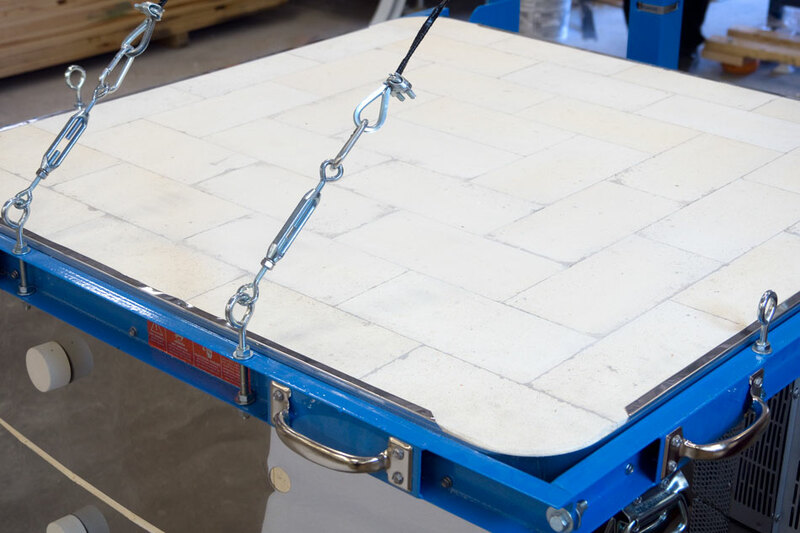 The counterbalance system takes almost all the weight of the lid off the kiln. In addition, the lid is fully supported around the perimeter with structural steel members. This takes stress off of the fragile firebrick. The hinge post is adjustable up and down. 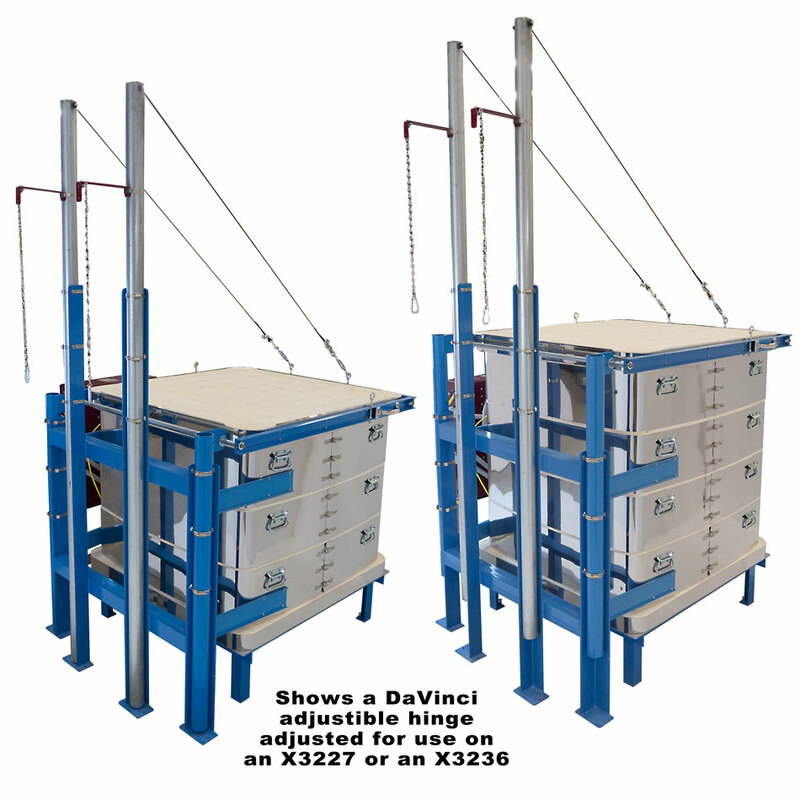 This allows the hinge system to be adapted to your kiln if you add or remove a section. There are safety chains to lock the lid in the up position. 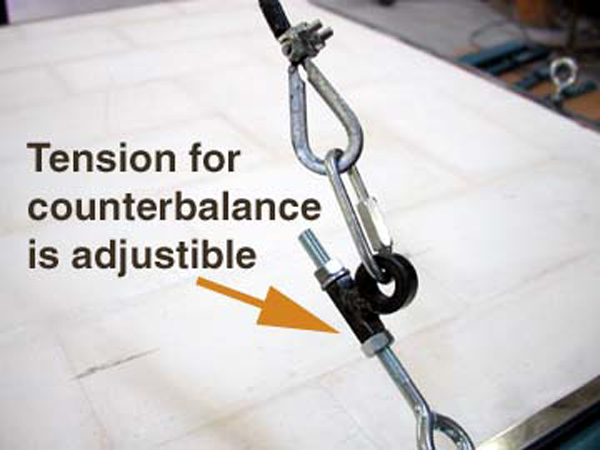 The counterbalance frame is bolted to two kiln sections. 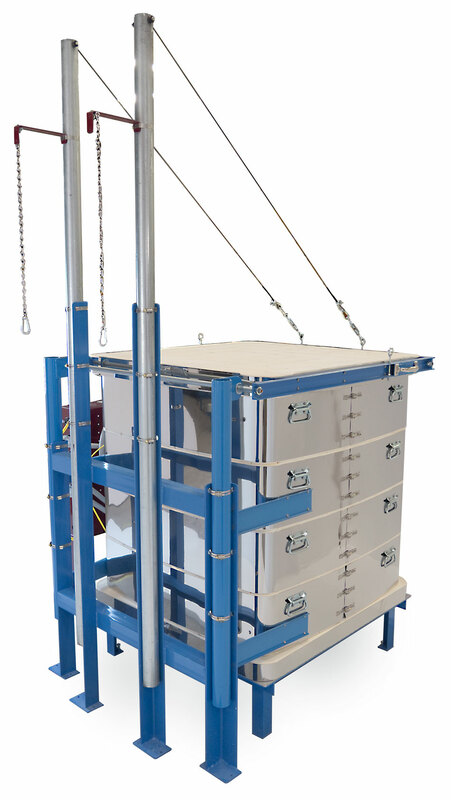 You can remove the upper section of 36" kilns and the upper two sections of 45" high models without dismantling the counterbalanced hinge or removing the lid. The heavy-duty hinge system is made of welded structural steel.